Today sees the implementation of the final phase of the EcoDesign regulation outlawing the “Placing on the Market” of conventional domestic incandescent lamps. As has happened in the last couple of years I have been fielding phone calls from various media whose idea of a story seems largely limited to finding people who are hoarding vast quantities of old lamps. So what are we left with? Currently in the UK there still seems to be some availability of even 60W and 100W lamps. The big retailers such as DIY sheds and supermarkets do not have any, however local retailers, corner shops and pound stores seem to have continuing stocks. Surprisingly some of these seem to be coming from major players, Philips particularly seem well represented. Exceptions from the ban include “specialist lamps.” These include lamps for domestic appliances such as ovens, cooker hoods, refrigerators and the like. Some of these applications, particularly ovens, are just too hostile an environment for any of the energy saving technologies to survive, it is likely that these lamps will be around for a while. Another class of lamps excepted are the “Rough Service” type. These are intended for applications where vibration, heat, rough handling and similar things are encountered. They tend to have thicker filaments with more supports. This results in them being markedly less efficient than conventional incandescent lamps but also many have specifically long service lives easily challenging the boasts of the Compact Fluorescent lamp of 8 to 10 years and treading on the toes of some LED replacements. At least one UK lamp supplier is pushing the bounds of this exception by offering rough service “Candle” shaped lamps. We also see Rough Service lamps on the shelves of bigger DIY sheds and very visible at retailers like Halfords and Maplin who, arguably, have stocked these as specialist products for years. The other “incandescent” lamp type that remains available are the Halogen energy savers. For the most part these are a really good substitute providing comparable light output and colour performance with a typical 30% energy saving. Unfortunately some suppliers are selling rather poor quality products that fail to meet the performance claimed, however that happens everywhere. What of the future? The current regulations are required to be reviewed in 2014. It is inevitable that there wil be pressure to increase the performance requirements and potential “loopholes,” such as the rough service lamps, will be addressed particularly if it is obvious that these are supplying a greater proportion of the market than might be expected. Is the ban achieving its goals? That rather depends on who you are and what your aims were in promoting the legislation. As a strategy for energy saving i believe it is a total failure. Despite researching and indirectly asking questions at the political level there seems absolutely no evidence that there is any energy saving attributable to this legislation. It is important that people continue to ask politicians for evidence on this. We cannot allow the review to take place without some realistic evidence on whether or not energy savings have been achieved. From the lamp industry perspective the ban has been very effective in removing a low profit margin cheap product from the market and replacing it with a selection of relatively high priced and higher profit margin products. What they may not have achieved is quite the profitability they expected due to the shift in manufacture to the far east. The majority of CFLs and LEDs are made in factories not owned outright by the old lamp manufacturers. These companies are now largely middle men doing deals with Chinese lamp factories who brand and package products with the big names we are familiar with. From an environmental perspective we are seeing a big failure. We have replaced a simple, relatively inert product that can be safely dumped in landfills with a variety of products that contain Mercury, plastics that are not re-cycleable but use oil in their manufacture and considerable amounts of electronic components. Neither is there a suitable infrastructure to recover these lamps at end of life nor is there any effective form of compulsion for users to ensure they are disposed of correctly. Europe is also directly importing tonnes of mercury from China each year but has also banned exporting it so even of there was a suitable infrastructure there is no way of ensuring recovery and re-use of this material from lamps. We may be seeing the end of this phase of legislation, however we need to continue to question this legislation and ensure that the review required is properly done and that all these issues are properly dealt with. Please do write to your MEP and question this legislation if you do there is a chance that things will go no further, if you don’t and the Eurocrats get away with this you can bet they will think up something even more stupid in pretty short order! Good point about the review… and the pressure needed for same. Re Philips, yes they seemingly cash in even as they are cashing in (as it were), they launched “the California Bulb” (95W) after 100W were locally banned – bulbs.com for example sell them. an international group just started some days ago with writers, lighting designers, researchers, filmmakers, politicians and others interested in the incandescent light bulb issue. For better communication across borders about what is happening. I suggest you get in touch with Christopher Booker at the Sunday Telegraph as he has suggested several times in his column that there is a big flaw in the legisation. I don’t mean “rough service” either. He suggests that the ban is unenforceable! Good luck. What many people don’t realise is that there are many people with light sensitivity vision problems who certainly can’t read printed material using CFL lighting (never mind getting head shattering migraines from them), but also find it very difficult to read using halogen lighting as well. I can personally only read comfortably indoors using an incandescent light bulb – I’ve tried all other options. The EU policy makers need their backsides kicked. http://irlen.com – believe me, this condition is very real. There are many other conditions affected as well, this is just one example. Another flaw with the CFL that I haven’t heard expressed is the lighting quality difference between the incandescent bulb and CFL. I did a simple test to compare the lighting output of the two types with equal wattage, and the incandescent outshined (pardon the pun) the CFL by far. That is my main reason for not wanting to do away with the incandescent bulbs. I can’t stand the new bulbs. I am going blind and the bright light hurts my eyes. My daughter is highly sensitive to bright lights. What gets me is the new lights will not burn in the cold outside. I am disabled and use a cart how am I to see where I am going outside when the light won’t work? I wish I had the money to start a factory to make incandesant light bulbs for those who want them. High, just to clarify the stance on tungstan. 1) tungstan bulbs are not banned are still in production, the distribution merchanting of bulbs by hardware and supermarkets have been invited to participate in a Voluntary scheme to alter their stock of lamps from the older type to the newer styles. 2) Normal GLS tungstan lamps are not in efficient, most of our electricity is supplied by nuclear power stations thus not demanding on fossil fuel. Of that available power, energy is supplied to the lamp, some is lost in heat, some is converted to light. What is lost in heat, obviously contributes to heat the room, thereby causing the heating system to be less in demand. As central heating is supplied by gas, it seems the use, and contribution of the tungstan element saves fossil fuels, in fact, no expends it. 3) Tungstan offers an extremely dense pressure of light per sq meter. To achieve the same lumination of space to the same lux remember not lumen level, a greater cross sectional area of luminant source is required, hence the comparative size differential between tube flourescents and tungstan bulbs. 4) The new hallogen lamps in normal house hold fittings burn at a hotter tempreture. As the bulb seems not to get hot( a fraud in fact as the glass is double insulated) that heat reflects back in the lamp fitting buggering the wiring, not a good idea, not enviromentally friendly at all. 5) Compact flourescents achieve efficiency by expending less lux, thats a fact, the equivilent numbers puported by cpfl makers are not in point of fact actually valid, normal tungstan bulbs offer the best direct luminant source. 6) The alternatives to tungstan or halogen are indirect light sources, the lamps dont actually emit candle light whatsoever, they depend of phosperescent, so to be honest in most instances of modernist application they are unfit for the purpose they are being sold. Don’t be to bothered about the hysteria in the media, I have always known they were full of nonsense. Don’t be to eagar to part with the old tungstan filiament. There are plenty of non cartel distributors able to supply them. By price up the cost of replacing lamps? Why risk ones personal safety, by ineffective of dangerous illumination? Thanks for the comment. 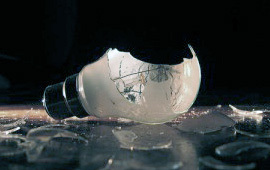 In Europe the conventional tungsten lamp is banned and cannot now legally be imported. I was at a meeting in Brussels at the EC at the end of the year and they are intent to ban the Tungsten Halogen replacement lamps as well in the next few years leaving us with no incandescent lightsources in the market. In the USA and Canada things are not so bad and while bans are legally in force there is no enforcement except in some states like California where Title 24 and its imminent re-cast ban incandescent sources from new build and potentially refurbishment work that needs building inspection.